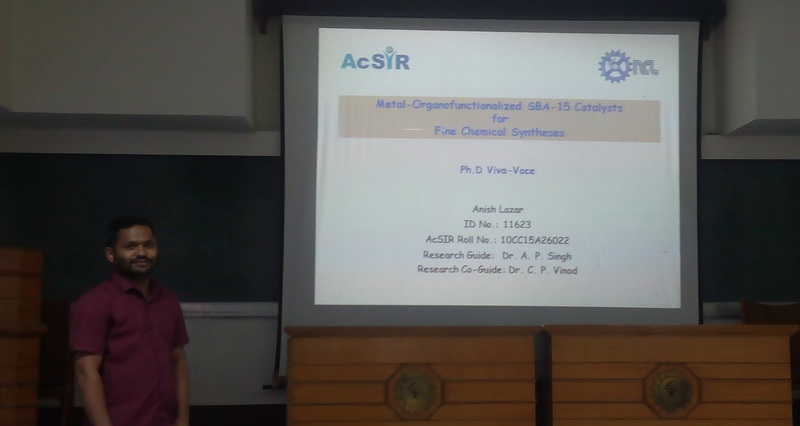 July 2013- Yogita joins our group as CSIR-JRF. July 2013- Shilpa joins our group as MTech trainee from CUSAT for a period of one year. July 2013 - Group got funding from INDO-DUTCH (DST-NWO) bilateral programme on "Functional Materials" involving Technical University of Eindhoven (TU/e), ISM Dhanbad and CSIR-NCL. The funding will allow us to study "Oxidation Catalysis by Gold"
Sept 2013- As a part of his PhD Mr. SunilSekhar has started his three months research stay at University of Lille. He will be working with Dr. Jean Philippe DACQUIN at Lille. February 2014- Sreedhala got the best poster award during the National Science Day celebrations: Congratulations to the authors Sreedhala and Sudheesh. April 2014 -Sreedhala and Sudheesh has got their papers accepted in journals "Nanoscale"and "Catalysis Today" respectively. Congratulations to both of them! August 2014- Congratulations and best wishes to Sudheesh Kumar who will be starting his PhD in catalysis at University of Saskatoon, CANADA.Sudheesh spent 3 years with CATandMOSS group first as MTech project trainee and then as project assistant. March 2015-Sunil and Vysakh got their papers accepted in ChemCatChem and J. Phys Chem C respectievely. Congratulations to both of them! May 2015- Sreedhala's paper is accpeted in ChemComm. Congratulations to Sreedhala for this excellent effort! May 2015 - Our collaborative work with Dr. Vaidhyanathan (IISER, Pune) is accpeted in Scientific Reports! 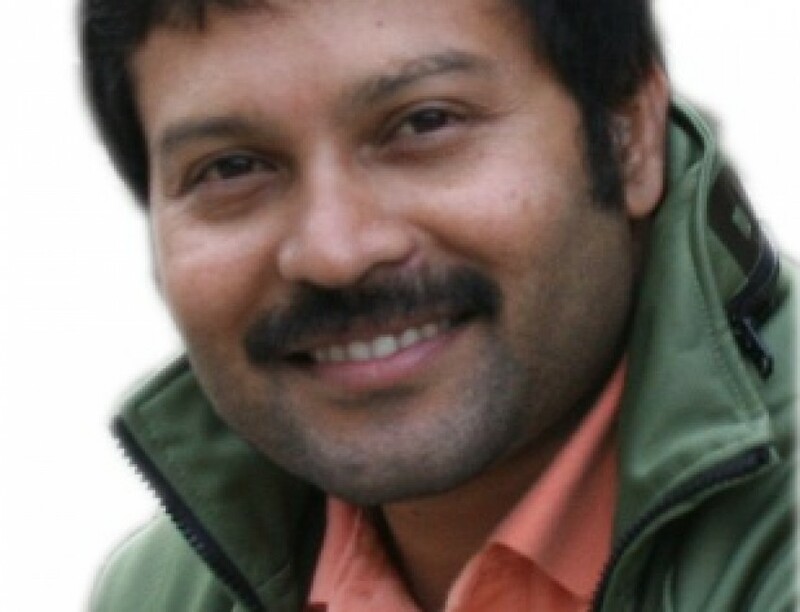 October 2015 - Sharad's paper is accepted in RSC Advances. Congratulations and welcome Sharad to publication world! January 2016- Vysakh's paper is accepted in Catalysis Science and Technology- Congratulations to all the authors and for a great New Year start. January 2016- Anish's paper is accepted in New Journal of Chemistry. Congratulations to the authors! January 2016- Sreedhala's paper is accpeted in catalysis flagship journal "Journal of Catalysis". Congratulations to the authors Sreedhala and Sudheeshkumar! February 2016- Sreedhala bags the NCL Research foundation Best Research Scholar in the area of Catalysis for the year 2015. Congratulations to Sreedhala! 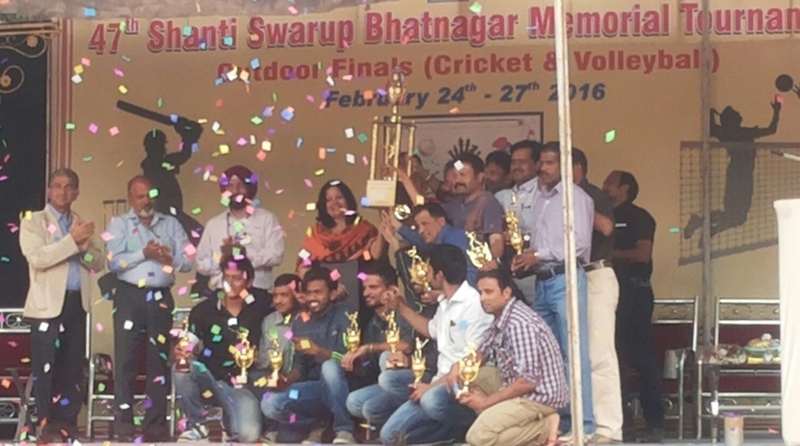 February 2016-NCL wins the presitigious Shanti Swarup Bhatnagar Cricket tournament finals held at NAL, Bangalore. Proud to be part of the team! 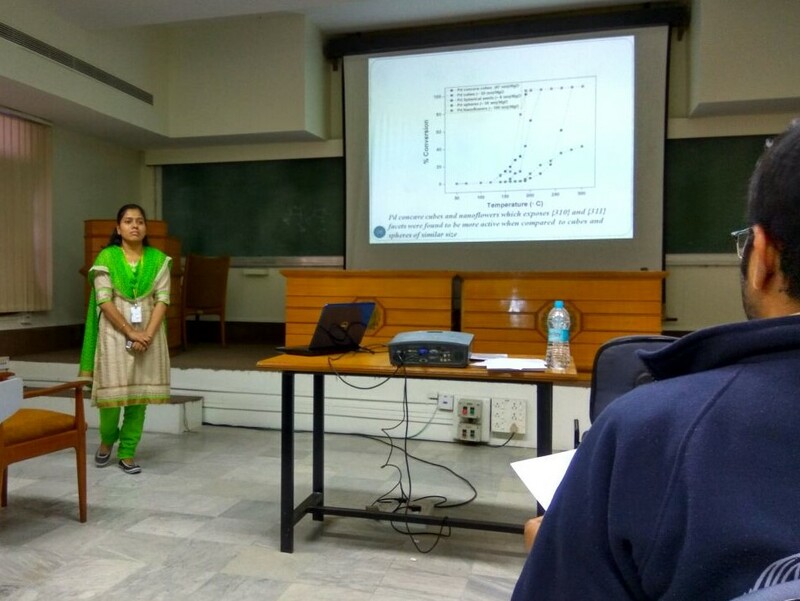 March 2016- Sreedhala presents her work in Netherlands Catalysis and Chemistry Conference (NCCC XVII) at Noordwijkerhout, The Netherlands. Thanks to SERB, INDIA for the financial support. May 2016 - Sreedhala's paper is accepted in Applied Catalysis A- General. Congratulations to Sreedhala, Shruti and Betsy for the team work. August 2016 - Sreedhala submits PhD thesis. First from Cat&Moss!! Congratulations..
September 2016 - Yogita is visiting Technical University of Eindhoven, The Netherlands on a collaborative research for two months. Cat&Moss wishes her Bon Voyage !! 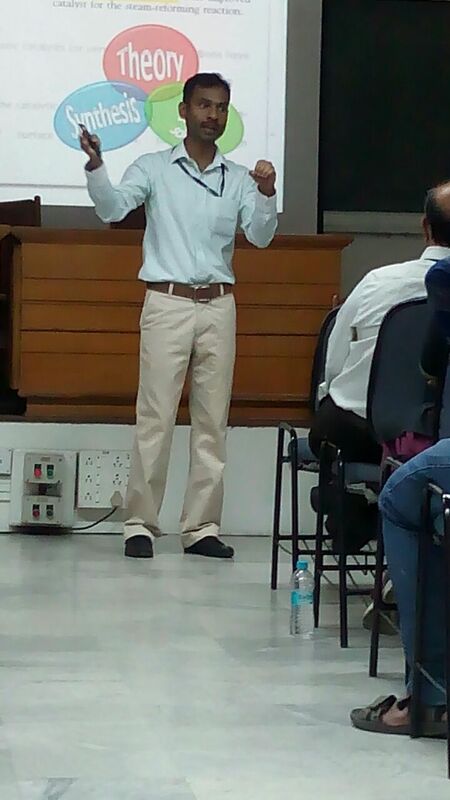 December 2016- Vysakh has submitted the PhD thesis- Congratulations!! 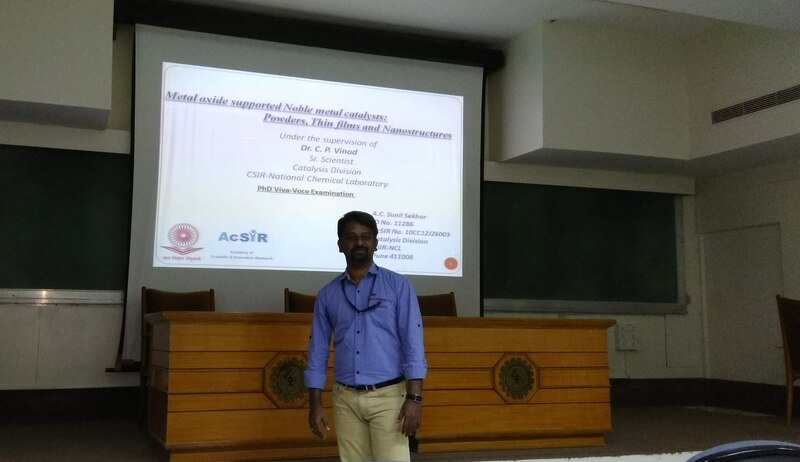 April 2017- Sunil successfully defended PhD thesis- CAT&MOSS wishes all the very best for a great career. September 2018- Yogita's paper is accepted in ChemComm- Congratulations for this excellent contribution! 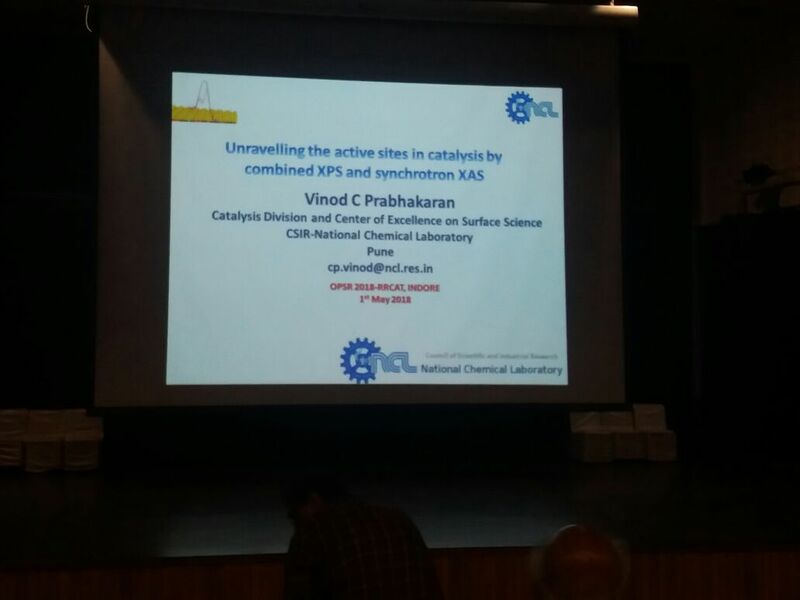 November 2018- Our Collaborative work with RRCAT, INDORE on operando XAS studies on FT catalyst is published in Journal of Synchrotron Radiation. Congratulations to all the authors! November 2018- Our Collaborative work with IIST, Trivandrum on MAS-NMR on the dynamics of water molecules inside PMOS is published in PCCP. Congratulations to all the authors! January 2019- Vysakh's paper is accpeted in Applied Catalysis A- General. Congratulations to the authors! January 2019- Anchal has joined Cat&MOSS for PhD. Welcome to the team and all the best! February 2019- Yogita wins the Best Research Scholar Award in Catalysis from NCL Research Foundation. Congratulations on being second member from Cat&MOSS to win this after Sreedhala! April 2019- Welcome to Dr. Subha PV who joins the group as SERB-National Postdoctoral Fellow. Cat&MOSS group wishes all the very best for a successful stay!